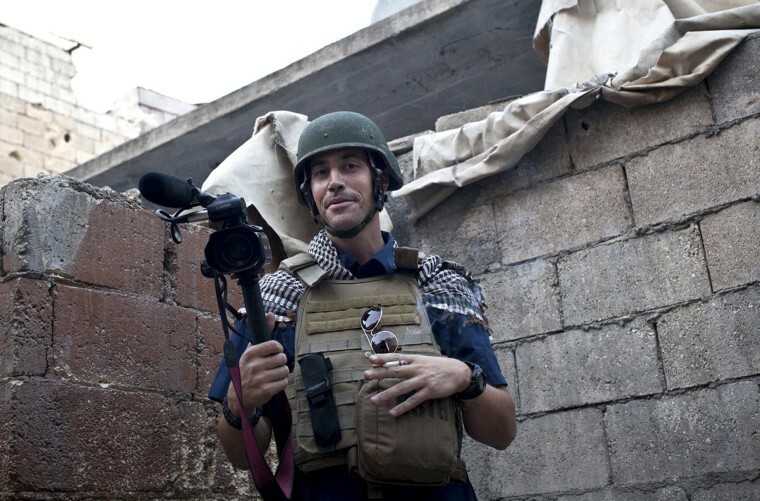 Did a British Jihadist Behead Journalist James Foley in Syria? LONDON — Intelligence officials were poring over a video showing the beheading of an American journalist in Syria on Wednesday, urgently seeking confirmation of James Foley's fate as well as clues about the identity of his executioner. The graphic video shows Foley reciting threats against America before he is killed by an Islamic State of Iraq and al-Sham (ISIS) militant. The voice narrating the video speaks fluent English and the U.K.'s foreign secretary suggested he might be British — a troubling but not altogether surprising development. Western officials have been sounding alarm bells for months over the flood of foreign fighters taking up arms in Syria and Iraq. Asked if the person speaking on the video was British, Cameron said, "We have not identified the individual but it looks increasingly likely that it is a British citizen. This is deeply shocking. We know that far too many British citizens have traveled to Iraq and traveled to Syria to take part in extremism." British Foreign Secretary Philip Hammond said the video appeared to be genuine, adding that intelligence agencies on both sides of the Atlantic were working to identify the voice on the tape. Cameron recently said there are more than 400 U.K. nationals in the ranks of ISIS, and Hammond on Wednesday said the video underscored concerns about the threat ISIS fighters pose to the West. "This is something we have been tracking and dealing with for many, many months and I don't think this video changes anything,” Hammond told the BBC. "It just heightens awareness of a situation which is very grave and which we've been working on for many months." Foley, a freelance journalist for NBC News partner GlobalPost, was kidnapped at gunpoint near the town of Taftanaz in northern Syria on Thanksgiving Day in 2012. He had not been heard from during his time in captivity. A native of Rochester, New Hampshire, Foley traveled extensively in the Middle East and North Africa. He reported about conflicts in Iraq, Afghanistan, and Libya, where he was once held captive for 44 days. Last week, British police said they were looking into pro-ISIS leaflets reportedly distributed in central London which encourage Muslims to pledge allegiance to the Sunni militants. And earlier this month, an ISIS propaganda video featuring an alleged American citizen was released online. Analysts said little is currently known about the man behind the balaclava who is seen in the purported Foley video. Shiraz Maher, who studies and tracks foreign fighters in Syria, said the man “has a very distinctive British accent” but that the recording offers few other clues. Authorities have not yet officially determined his nationality. Maher – who is a senior research fellow at the International Center for the Study of Radicalization (ICSR) at Kings College in London – said that bits of information will likely emerge on social media that help to shed light on the fighter’s identity. “In time we’ll get to know who this individual is,” he said. While ISIS also has been regularly putting out videos featuring foreign fighters – including Britons, the video purporting to show Foley changes the game, Maher told NBC News. But Foley is “a completely different kettle of fish,” Maher said, describing the journalist as an “innocent party” to a war in which there are many sides.